Wildwood Arts, housed at the historic and beautiful MacArthur House in Marlboro, Vermont, is dedicated to fostering cultural and environmental sustainability, via the arts, place-based education, and agriculture. What does that mean? Youth agriculture classes, sustainable living workshops, writing workshops, house concerts, readings, lectures, artists in residence, and more. We are currently in the process of building an advisory board. We have fiscal sponsorship (and 501c3 status) from the Vermont Wilderness School. The Vermont Wilderness School provides fiscal sponsorship to a number of like minded non-for-profit projects, including Wildwood Arts. We hope you will follow us on Facebook, and stay tuned here to find out more! 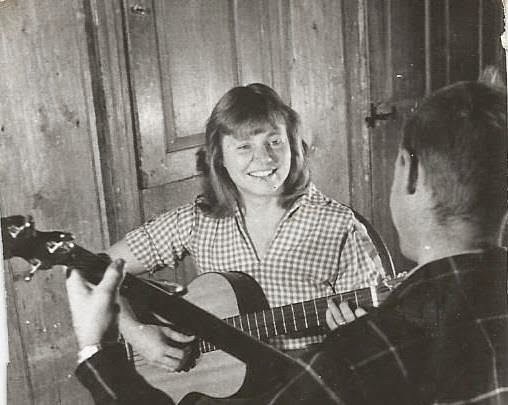 In the early 1950s John MacArthur (an environmental scientist) and Margaret MacArthur (a twenty-year-old folksinger), drove around the back roads of southern Vermont, accompanied by their two young boys, looking for a house to live in and love. Eventually they found an abandoned 1803 Cape along the side of an unnamed road in Marlboro. The house had broken windows, shot-out doors and floors eaten by porcupines. But it came with one-hundred acres of overgrown fields, a view of the hills of Dover, and the price was right (dirt cheap). They bought the house and, over the next sixty years, lovingly restored it inch by inch (while birthing and raising three more children). They planted huge vegetable gardens, put up most of their own food for the winter, harvested their own firewood, and planted fruit trees and perennial gardens. In honor of both of their work, John and his family, many of whom still live on the property, are dedicating the house and its surrounding property to the fostering of environmental and cultural sustainability (and in particular, the bridging of the two). The property, situated on 300 acres of farmland and forest, now houses an organic berry and vegetable farm, an heirloom apple orchard, a boat building shop, a post-and-beam wood shop, a solar installation company, a recording studio and a cidery. We hope to use the house and these resources to offer workshops, readings, house concerts and more. In 1982 Margaret and her family recored an album of traditional folksongs called “Make the Wildwood Ring.” The line came from a traditional song on the record, written over one-hundred years earlier. We feel that line— “Make the Wildwood Ring” —perfectly encapsulates the interweaving of environmental and cultural arts that Wildwood Arts hopes to foster. The environmental movement cannot win hearts without the aid of art (the ringing and the making); art loses relevance and effectiveness if it does not acknowledge the importance of landscape, place and our looming environmental crisis (the wildwood). Thus Wildwood Arts. Please follow us on Facebook and stay tuned here to find out what what’s in the works! John and Margaret MacArthur in their living room, ca. 1960. Fostering environmental and cultural sustainability via the arts, place-based education, and agriculture at the MacArthur House in Marlboro Vermont.